Hint: It has nothing to do with clutter. Interior designers know the ins and outs of a perfectly styled room so well they could decorate in their sleep. But what about the anatomy of an overstyled space? That’s where the decorating waters get a little murky. An overdecorated room stands out like a sore thumb. Like any injury, just because you can feel the pain doesn’t always mean you know how to fix it. While clutter and overdecorating often go hand in hand, the two tendencies aren’t necessarily one and the same. 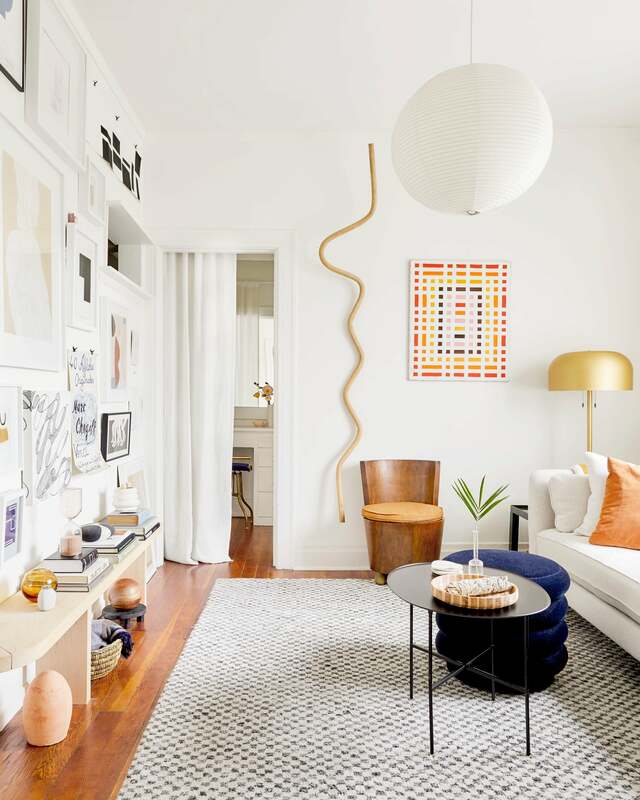 Die-hard maximalists, self-professed neat freaks, and everyone in between are susceptible to designing a space that’s visually stimulating in all the wrong ways. The only real way to know whether or not you’ve outdone yourself is to understand the most common mistakes through the eyes of a designer. So we asked our go-to experts: What are the overdecorating mishaps you see the most, and how can the rest of us avoid them? Keep reading for their seven simple remedies. For Clouse, overdecorated spaces, more often than not, come down to unfinished thoughts. Instead of exuding the personalities of the people that utilize them, they double as a summary of the latest trends. “The items you choose to decorate with have to resonate with you. If it doesn’t feel authentic, it’s not going to read as a well-decorated space,” explains Clouse. Her hack? Introduce objects and accessories that span the decades. “Don’t get everything new or from one store,” she says. “You want your place to look like it could have been decorated yesterday or 10 years from now.” A sentimental vintage coffee table topped with a cool vase you found at Target will come off as authentic if you simply love what you buy and put the trend rulebook down. In the same way that sticking to one time period is a dead overdecorating giveaway, committing to a single genre of material—be concrete, wood, or marble—can feel old fast. For spaces that suffer from “overdecorated showroom syndrome,” Jasmine Vaughan of Maxwell Gray Interiors can usually narrow the problem down to a sense of sameness. Vaughan’s other major takeaway? The design feels best when it’s simple. For that coveted timeless feel, the Portland-based pro says the secret to longevity is steering clear of elaborate finishes—particularly when it comes to window treatments. “Too many trims, swags, and puddles scream 1989,” says Vaughan. “We like to keep our drapery panels to a simple Euro pleat, and avoid puddling the fabric, as it can look dated and ends up collecting dust.” The same goes for finials. Streamlined ball finials or end caps never go out of style. File this mishap under “first apartment syndrome.” We get it, one-stop-shops exist for a reason. And while it’s tempting to walk into IKEA and buy the entire living room display because it makes it look so easy and your home will be ready in no time, your speedy approach will end up costing you more than you think. “The space ends up lacking visual interest,” says Brooklyn-based designer Silka Weiss. Her easy fix? Pick up a paintbrush, reupholster, or simply switch up your accessories. You all know it’s wrong to play favorites when it comes to your pets or your children, but when it comes to your decor, not all objects are created equal. It’s a problem Allison Lind has encountered one too many times: Clients hold on to objects they acquired on a trip or as a gift and they struggle to weed out weak ones. As a result, their shelves become cluttered and nonsensical. Lauren Svenstrup’s source of fashion inspiration is also her source of interior wisdom. “Coco Chanel’s quote of taking one thing off before you leave the house is great advice for a room too,” says the owner and design director of Studio Sven. So how do you know if it’s time for a clean slate? It all comes down to function. If you can’t talk to your dinner guests because the centerpiece is blocking the view or there’s no room for anyone else to sit on the sofa because there are too many pillows, you’ve probably outdone yourself.